The testimonials listed below are true, honest reviews gathered by clients after each transaction as part of the Royal LePage Terrequity Service Excellence survey. I am proud to share that these reviews have not been modified or changed in any way. Susan is very helpful person. She has positive personality. She is the only honest, strait forward and lovely person I met in out of my country. She is not only my broker, she is my sister now!!!!!!!! I am exceptionally satisfied with her!!!!!! She is a great realtor/broker. She always keeps her customer informed about the market and knowledge of real estate market. She uses her wise/educated guess about the property and advice to her customer. She was amazing!! We were so blind and she gave us soooo much information. Honestly a now called a friend! Susan made this stressful process very easy. Her follow-up has been very thoughtful and makes me feel that she is committed. Susan is dedicated and has a friendly, positive, professional attitude. Susan was honest, straight-forward, pleasant and very easy to work with. Very knowledgeable about the market. Represented our best interests. We were absolutely thrilled with Susan. She was responsive, friendly and knowledgeable. I would recommend Susan to anyone looking for a Realtor. Susan went above and beyond to help us find and secure an apartment rental. Cannot emphasize enough how fantastic she was to work with. Definitely lucked out. Susan is an amazing individual, very hard working and honest. She’s incredibly knowledgeable and provided me with invaluable insights with regards to my research. I will definitely seek Susan’s advice in my next real state needs and look forward to working with her in the near future. Susan in an extraordinary skilled and pleased personality to attract customers! Susan is an amazing Realtor, because she is such a wonderful person who takes pride and ownership in her work. She provided excellent advice, assistance and kept me in the loop all the time. I think of her as the greatest Realtor I have ever used. She helped me to lease a place as well, and I look forward to hear assisting on my Purchase. I recommend her to everyone. She is not just our Realtor, but our friend. We look forward to a life-long relationship. She was amazing and beautiful personality! Susan was exceptional in all aspects. Vary professional and yet was open to any suggestions I made. She helped us understand all the information we needed to make a good decision. She is extremely bright and knowledgeable and was helpful in our situation. I will use her again when we need a real estate agent. Words cannot express how grateful we are in the whole process. Suzan has been nothing but helpful and caring to all of our real estate needs and questions. She has always been available anytime we had a question or concern. I will definitely be recommending her services to any of my family, friends and any future real estate purchases. Suzan did an amazing job in selling our house! She sold it in one day!! She helped us get the best price for our house! She took the time to help us stage and photograph our house and also added some touches of her own! Suzan’s extensive knowledge of the industry and current market conditions as well as her empathy and professionalism were so helpful in making everything less stressful for us. Suzan was very thorough with explaining every step of the process and extremely timely in responding to questions and concerns. I would definitely recommend Suzan to anyone buying and/or selling their home!! Suzan did an amazing job. She looked out for our best interest and ensured we were happy. She took control of the situation and didn’t quit until we found our new home. She gave us excellent guidance and had deep knowledge about the homes we looked at. She was also very generous with her time. She was always available for us and answered all of our questions with her expertise. I would highly recommend Suzan to anyone I know looking to buy and/or sell their home! Suzan did an amazing job in finding our new home!! She took control of the situation and did not quit until we found our new home. She looked out for our best interests and made sure we were happy. She is very reliable and was always available for any questions we had. She gave us the guidance we needed and did a fantastic job in negotiating the sale price! We are very lucky to have her on our side!! I highly recommend Suzan for anyone buying and/or selling their home. Suzan’s quality of work is unbeatable. I am yet to find someone who could be as prompt, as hard working as caring and professional as she is. I often wonder if this lady gets any sleep because no matter when you email or text her she will respond within minutes. What impresses me the most is her integrity, personal care and the thorough due diligence she conducts on every single deal. We have dealt with other agents in the past who would be comfortable proceeding if an applicant looks good on the paper. Suzan would only recommend an application after conducting her very rigorous and disciplined home work and checking pretty much everything you could possibly need to know about the quality of an applicant. Her work ethic, her level of service and attention to details are unparalleled and we feel very blessed and privileged to work with her. 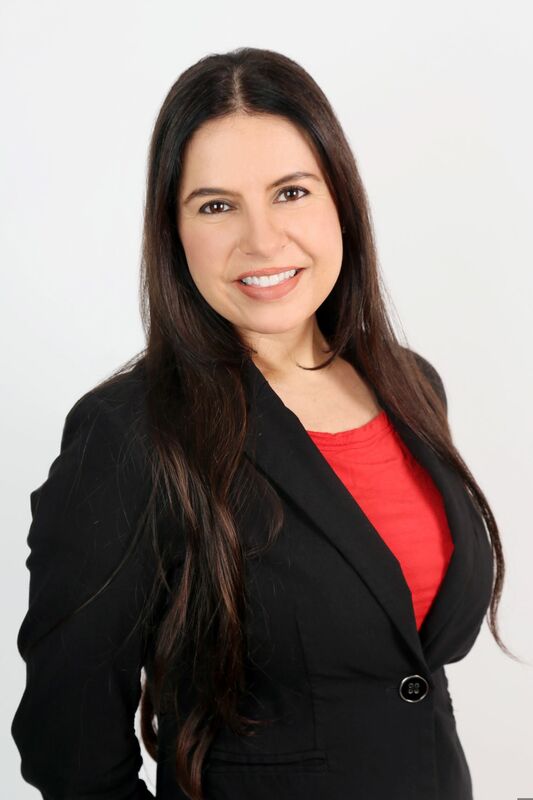 Suzan Heitman Oster is an exceptional Agent that I hope to use throughout my real estate needs. I originally came across Suzan on an Ad she posted as we were looking to rent at the time. We met with Suzan and it was an instant connections. She was very kind, very relaxed, and we felt she was understanding with our situation. After meeting with her and discussing our options we decided not to rent but to buy, based on her advice. It wouldn’t be right away though. We needed time. It took us almost a whole year to organize ourselves. During that time Suzan kept in touch and would send a message to just say hello and see how we were doing. We felt she went above and beyond our expectations. She could have simply said contact me when you are ready, instead she kept in contact with us. When we were finally ready to shop around we were undecided as to where we wanted to buy. From Cambridge, to London, to Brantford, to Burlington, to Acton, to Georgetown…there isn’t a place she didn’t take us to. Never once did she seem upset or unaccommodating. She was on a mission to find us our dream home within our budget. AND THAT SHE DID!! We ended up buying in Stoney Creek which wasn’t even on our radar however she did as we asked, always. Suzan is an amazing Realtor. She took the time to build a relationship with us. It felt right. It didn’t feel like a cut and dry business transaction. We are thankful that she has been with us throughout this process, we are 1st time home buyers. Anyone who is fortunate enough to cross paths with Suzan is lucky and should feel safe in her hands. Suzan was very receptive, courteous easygoing and professional.